Written by Fred Patten, and intended for Apa L, 2256th Distribution, LASFS Meeting No. 3704, August 7, 2008. My sister Sherrill says that Tom Locke came to her apartment on Saturday to see my s-f art collection. On Sunday, Greg Bilan brought me a bag of freebies from the Comic-Con in San Diego. Sherry says it might be better if LASFen who want to see my art contact me first for an okay, since she does not know many LASFen and is hesitant to let total strangers into her apartment. Spacepaw, by Gordon R. Dickson. NYC, Berkley Medallion, March 1976, 222 pages; $1.25; ISBN: 0-425-03083-0. Spacepaw is a reissue of a 1969 novel, a sequel to Dickson's 1961 Spatial Delivery, which was itself based upon a 1959 novelette titled "The Man in the Mailbag". As you can guess from the titles, t'ain't none of 'em very serious. They broadcast their derivation from the Cold War politics of the late '50s and the Peace Corps diplomacy of the mid '60s, which was also a period when most American males looked with humor upon the new Women's Liberation movement. However, unless you happen to be a touchy Libber, Spacepaw still holds up as an enjoyable light adventure. Bill Waltham, a young engineering graduate, is looking forward to an exciting career with the interstellar government, redesigning entire planets. Instead he finds himself assigned to Project Spacepaw and dumped on the backward planet Dilbia to teach the natives how to use simple manual implements. ("...This is a spade. You hold it by this end. You stick the other end in the earth ...") The Dilbians are nine feet tall, built like Kodiak bears, and have a society very like the stereotype of ancient Ozark hillbillies. They're friendly enough, though you have to remember that a Dilbian's genial slap on the back can put a human into the hospital. This is humiliating enough, but things take an ominous turn from the moment Bill lands on Dilbia. He hadn't been warned that there's a virtual war between the Upland farmers, whom he's supposed to help, and the Lowland raider bands who prey off them. Or that the human Resident agent had recently been invalided off-planet and that his sole assistant is a fire-eating young girl who spends all her time trying to incite the Dilbian females to Social Awareness. Or that the Lowland outlaws are under the influence of a sinister jovial Hemnoid "journalist," an agent of humanity's most deadly totalitarian rival in the galaxy. Or that the macho giant ursinoids tend to look upon human "Shorties" with amused contempt, and that he will have to prove himself equal to them in some physical feat before anyone will take him seriously. He gradually does, of course, in an amusing story that involves him in everything from local politics to matchmaking as he gets acquainted with the community of Muddy Nose and its shaggy, colorful inhabitants - the Hill Bluffer, a far-striding postman; Flat Fingers, the blacksmith; Thing-or-Two, a nagging housewife; and other descriptively-named characters. In addition to getting sociable with the natives, he has to continuously be wary of the sly traps set by the Hemnoid, Mula-ay, designed to ridicule humanity in a manner fatal to himself; and he has to figure out a way to work despite the imperious but impractical orders of the hot-headed assistant Resident, Anita Lyme, without laying himself open to a charge of deliberately disobeying his immediate superior. With the help of the friendly, common-sensical Hill Bluffer, he figures out a way to throw away the rule book and accomplish everything at once - by taking on the massive outlaw leader, Bone Breaker, in personal rough-and-tumble combat (or seeming to). The action may be nerve-wracking for Bill (or Pick-and-Shovel, as he is soon renamed by the Dilbians), but it will be fast-moving fun for most readers. Now if someone would reprint Spatial Delivery...? 2007 Note: This review was of the 1976 paperback reprint. The first edition (hardcover) information is: Spacepaw, by Gordon R. Dickson. Frontispiece by Leon Gregori. NYC, G. P. Putnam's Sons, February 1969, 222 pages; $3.75; ISBN: 0-399-20206-4. Cover - (Jackson) Unbelievable. I wonder what response this notice got. Sunset Boulevard, if not all of Los Angeles, is opossum territory. De Jueves #1594 - (Moffatts) Thanks for the verification, Len. It would be good if someone made a correct color model of the coat of arms, instead of illustrating it with incorrect pictures with the corrected colors noted as a footnote. 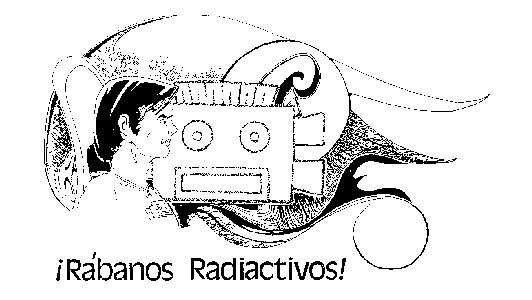 I Guilt-Tripped Xanthippe - (Gold) The picture on the LASFS website of the old Science Fiction League logo is not accurate, either. The artist "improved" it. You can get the accurate picture from the covers of Wonder Stories for May and December 1934. With so many inaccurate pictures of the SFL badge and the LASFS coat of arms, there should be at least one accurate version of each.